Imagine being able to write invisibly on any surface, and those written words then automatically transferring to your phone, tablet, laptop or TV. Currently a Kickstarter project, but having already raised well over the amount required to get manufactured, the Phree pen by OTM Technologies will soon be a reality that will be able to do just that. The Phree is like a far more developed version of a mobile phone stylus, which overrides the need to have your phone out. This could be a bonus for folk like me, who often struggle to locate their phone in their bag, and then when they do, then take another 5 minutes to find and open the app they need to use! 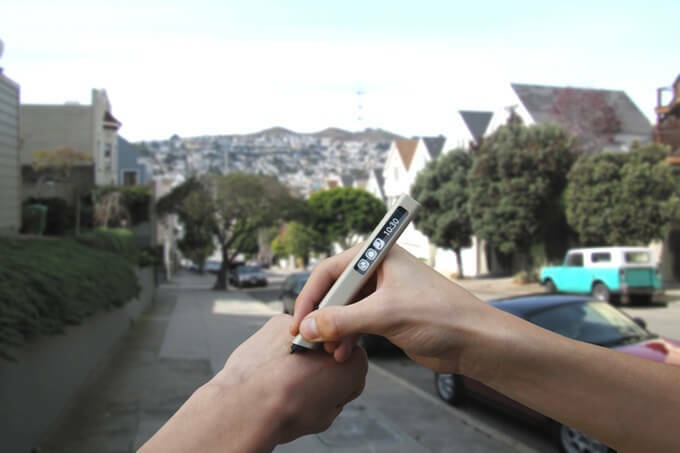 It seems that the design of the pen has been well thought out too; it works just as well for left as for right-handed individuals, it is pressure sensitive for line width, it charges in an hour and has wireless charging capability, and its cap can be attached to create a stand when in use. Could there be a downside to this incredible technology? I do predict a future of people being told off in public for appearing to vandalise things such as coffee shop tables, walls or even the pavement! Further information on this project can be found on the Kickstarter page, here. Photographing pens: a journey into product photography.